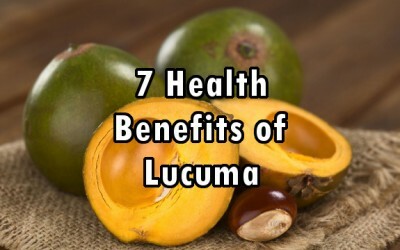 Lucuma (Pouteria Lucuma) is a super fruit that has been eaten by Peruvians since 200 A.D., but modern science is just now getting a hint of how nutrient-dense this fruit really is and how it could offer great healing potential. Europeans discovered Lucuma in the 1500s, calling it ‘egg fruit’ due to its shape (and since the flesh of the fruit is the same color as an egg yolk). It tastes like a combination of maple syrup and sweet potato to some, or a mango crossed with an apricot to others. While the fruit can be hard to come by owing to the fact that they grow at altitudes of 4,500 to 10,000 feet, the powder can be obtained from many health food stores. To the Peruvian people, Lucuma is a symbol of both longevity and fertility. While it doesn’t rate as high as other foods on the ORAC chart such as sumac, another superfood in its own right with an off-the-charts ORAC value, lucuma is full of essential nutrients and can be used as a healthier substitute for sugar. 2. It is a natural sweetener – Lucuma can sweeten foods without spiking blood sugar, and it contains beneficial nutrients that sugar alone lacks. 3. Lucuma is iron-rich – Iron improves the transportation of oxygen into cells and is a vital nutrient to pregnant and breast-feeding women. Proper levels of iron contribute to energy levels as well. Check out NaturalSociety’s Health Benefits page to see the benefits of 60+ other foods! 5. Fiber–rich food – This super fruit is full of fiber, which can help the digestive system work properly, reducing constipation and bloating. 6. Wound Healing and anti-Inflammatory – Try an anti-inflammatory cinnamon, ginger, lucuma smoothie for a healthy and tasty treat. 7. Lucuma Nut oil is anti-viral and anti-bacterial – This super fruit can also prevent colds, flu, and other viral or bacterial diseases, possibly making it a sound substitute for pharmaceutical antibiotics in many cases.